A Locally Presented International non-profit English Language Center at Koya University; Spring International Language Center (SILC) at the University of Arkansas and Koya University in Koysinjaq, Kurdistan Region, Iraq are teaming up to create an English Language Center at Koya University designed to provide quality English language instruction for students, academics, and members of the community in the region. With the Ministry of Higher Education in the Kurdish region of Iraq raising the standards for English language proficiency for graduates and incoming students, the need for English language instruction is growing regionally. Asst. Prof. Dr. Sahar Basil Al-Qaisi, lecturer of Architectural Engineering Department-Faculty of Engineering, participated and presented a seminar in an International Conference held by SAH (Society of Architectural Historians) in USA as the representative of Koya University and Iraq. In addition to being a member of this organization, she is also the ambassador of this organization in her country. On 22-23 May. 2016, at the Hall of the Koya University Presidency, the First International Conference on Haji Qadri Koyi was convened. In the conference, 27 research papers about Haji Qadiri Koyi and his poetry and work were presented. A research team from the Faculty of Engineering (FENG), Koya University leading by Dr. Mohammed Zangana the dean of the faculty has been awarded a grant of 50,000 USD by International research and exchange board known as IREX for their project titled as &quot; “Pre-treatment and Disposal of Expired Molecular Sieves: Petroleum Industry in Iraq as Case Study”. This is a joint project between Koya university and Missouri University of Science and Technology, USA. The Department of Petroleum Engineering (DPTE) at the faculty of engineering, Koya university established the SPE student chapter. The student SPE chapter society will contribute in promoting the students experience through extending and introducing them to the world of petroleum engineering. This could be achieved by holding lectures, organizing social events, favouring contacts with Oil & Gas companies all over the world, enhancing collaboration with the wider SPE, and most of all, by doing the international field trip to hands-on experience in the oil industry. A team of researchers at the Department of Software Engineering DSWE in Koya University (Dr. Salah I. Yahya and Dr. Yazen A. Khaleel) in collaboration with a researcher from the School of Electronic, Electrical and Systems Engineering, Loughborough University, UK (Dr. Will G. Whittow) have achieved a unique research about the numerical dosimetry of CDMA/GSM, DCS/PCS and 3G signal jammers. Koya University scholars are taking part in the first International Conference on Engineering and Innovative Technology (SU-ICEIT 2016) with original and high quality research papers. The conference is hosted by the College of Engineering of Salahaddin University on 12-14 April 2016. A Koya University delegation visited a number of Iranian universities on 17 April, 2016. The delegation was headed by Dr. Wali Mahmood Hamad, the President of Koya University and included a number of the academic and administrative staff of Koya University. Koya University is pleased to announce that Aro - The Scientific Journal of Koya University has been accepted for indexing in the Emerging Sources Citation Index (ESCI), a new edition of Web of Science™ as of Feb 2016. 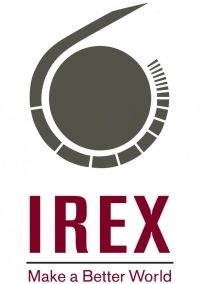 Content in this index is under consideration by Thomson Reuters to be accepted in the Science Citation Index Expanded™ (SCIE). The quality and depth of content Web of Science offers to researchers, authors, publishers, and institutions sets it apart from other research databases. 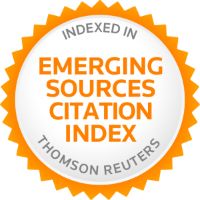 The inclusion of Aro in the Emerging Sources Citation Index demonstrates our dedication to providing the most relevant and influential Scientific content to our community. A team of researchers at chemical engineering department (DCHE) in Koya University has achieved an unique research that about production for bio-diesel from cow fats.The research team is consisted from Mr. Ribwar K Abdulrahman, Dr. Mohammed H Zangana, Dr. Jafar A Ali, Rebwar Ibrahim Aziz, Rawaz M Karem and Balen M. Hussain.